To prevent cold air from entering your home during winter, and hot air from flowing in during summer, you need to close up the gaps in your windows to create a tight seal. Not only will your home feel more comfortable, you will also lower your monthly energy costs with these inexpensive window weatherization tools. Caulking is a method of weatherstripping that targets the crack, gap, hole, or opening that allows air to seep through. Basically it’s like sticking silly putty in the exposed area to seal it off. However, rope caulk provides a better stick, can weatherproof windows in any weather condition, and blends in with your decor. 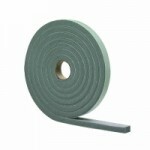 Foam tape is used to seal windows that slide or swing. 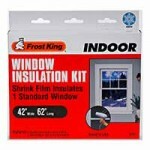 It sticks to the edges or bottoms of windows to prevent air leakage when windows are closed. 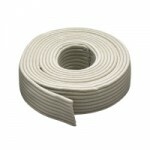 Installation: Foam tape is easy to install and at less than $3 it is an inexpensive weatherization solution. First, clean and dry the area where the tape will be applied. If the area is dirty, wet, and/or cold, the tape won’t stick properly or it will easily loose its stickiness factor. It must be more than 40 degrees Fahrenheit. Again, you need to clean and dry the area before applying any sealing. You should also clean the insides of windows because you won’t be able to clean that area again until you remove the shrink film.